Good relationships are built on trust. I think it is human nature to want to share yourself with someone else. Entrusting that other person with your life story, your hopes, dreams and especially your secrets is vitally important to us. Who do you trust and what does trust mean to you? The fourth Law of Karma is the ‘Law of Growth’ – ‘wherever you go, there you are’! This little statement might be confusing to you at a glance, but if you really think about the meaning it is very clear. In times of unhappiness we often daydream about what we could change that would bring the joy we miss back into our lives. Perhaps a new car, or a new piece of furniture would make us feel content. Often this is the case in relationships as well. If there is discord in our connection to other people, we might think ‘if they just changed, I would feel a whole lot happier, if they would behave and think like I do then things would be a lot better’!! The truth is external changes give us temporary periods of joy, and we all know that we can’t actually for real change another person! All of us have tried and we know it doesn’t work. We are who we are, until we decide it is time to grow, elevate and move forward. By allowing yourself to ‘go within’, you are able to identify the change or adjustments that you are ready to make in your thinking, feeling or doing. 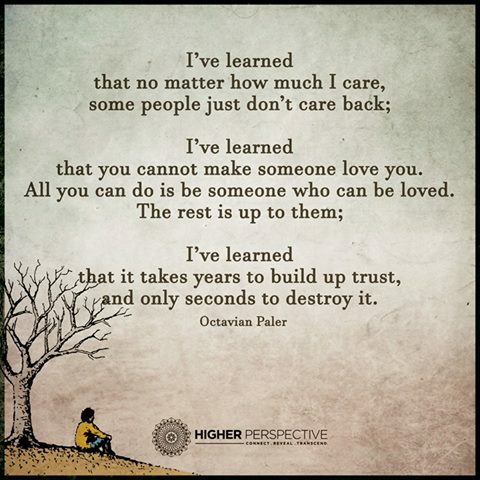 This is why trust is so important, because now perhaps for the first time in your life you have to trust yourself. The truth and the answers of the fourth Law of Karma is that wherever you go there you are. If you fill your heart with joy, happiness, acceptance, tolerance, peace and love, then that’s what you will feel NO MATTER who is around you or where you are! Trust that finding the peace that resides within you is up to you and you alone. Trust the Universe will guide you to the happiness that you crave in your life. Because then ‘where you go, there you are’ doesn’t have to be a place where you constantly want and desire, it will be a place of joy and love.